Arshdeep Singh was born on 5th February, 1999 in Guna, Madhya Pradesh, India. He is an Indian professional cricketer who was part of India's victorious campaign in the 2018 ICC U-19 World Cup. He is also left-arm medium-fast bowler. His father was also involved with cricket. Arshdeep started playing cricket of note in 2012 under coach Jaswant Rai at GNPS School, Chandigarh. He took 13 wickets in Vinoo Mankad Trophy for Punjab and also has claimed 19 wickets for Chandigarh in five matches in Punjab Inter-District ODI Championship for the DP Azad Trophy in 2017. In 2017, Arshdeep played for India Red team in the U19 Challenger Trophy. This was a tournament which displayed his capability as a bowler as he picked up seven wickets which included a five-wicket haul. So this match brought him into limelight. He debuted in international youth cricket at the ACC U19 Asia Cup 2017 against Malaysia U19 in Kuala Lumpur on 10 Nov 2017. 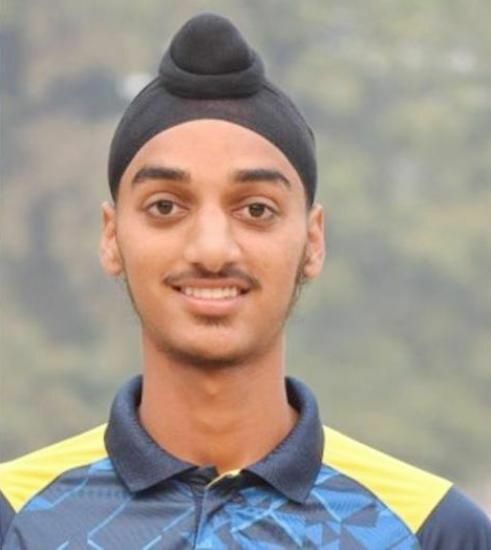 During the group stage game of the U19 World Cup against Zimbabwe, Arshdeep had his best performance of the tournament, bowling with an economy rate of 1.43. He bowled in 7 overs which conceded 10 runs to the opponents and he also took 2 wickets.